We are one of the widely acclaimed manufacturers, exporters, and suppliers of Carprofen 5% Injection. 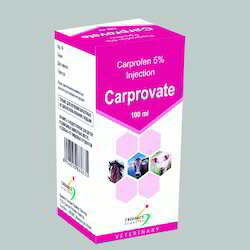 The offered carprofen injection is widely used for the treatment of respiratory diseases in cattle. Our supplied carprofen injection is composed of carprofen, ethanol and sodium formaldehyde sulphoxylate. The exported carprofen injection is available in small volumetric quantities, owing to the low dosage effectiveness. We are one of the leading manufacturers, exporters, and suppliers of Flunixin 250 Mg Powder. The offered flunixin powder is acclaimed for treating the respiratory problems in swine. 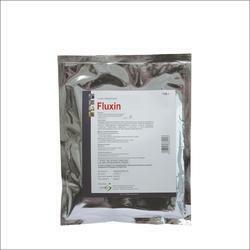 Our exported flunixin powder is available in sachet and packets. The supplied flunixin powder can be easily fed to the swine for treatment and control of the respiratory diseases. Our exported flunixin powder is available at very cost effective market rates. Looking for Antiinflammatory Products ?